Stimulated and supported by different research programmes, over the years fundamental and applied research has been an important foundation activity which enables society to broach new frontiers in technologies and capacities, and which in turn works towards improving human and economic productivity. However, many breakthrough software discoveries often fail to realize their potential as an innovation, by which we describe a successful innovation as the bringing to market of an idea or process. This failure to reach the market/end-users can be seen as the incomplete exploitation of potential innovations by the very researchers who develop them. It is not only the direct results of the funded projects, but also the indirect and compound outputs formed from and created during the directed project that form the potential innovations and wider impact of Europe’s research activities. In the context of H2020 program and Startup-Europe initiative, the objective of this 1-day workshop is to accelerate and foster the grow of new ventures by equipping researchers better to work with effective models for the successful commercialization/bringing to market of their R+D activities to increase productivity; to improve the private investment in further researchers; create more global innovations, and stimulate a greater interest from researchers to view the results of their work as potential opportunities to be exploited with the correct business model; and to briefly describe the European entrepreneurship ecosystem and the financial opportunities it offers. Describe the problem your software product solves, potential customers (target market), and its origins (results from public/private funded projects, collaboration with SMEs, PhD thesis involved, grants like Marie Curie actions, etc.). Describe its current stage of development (pre-alfa, alfa, beta, …). Describe the team that is encouraged to foster the product, if any. Describe the steps or initiatives previously carried out in order to reach the market, if any. 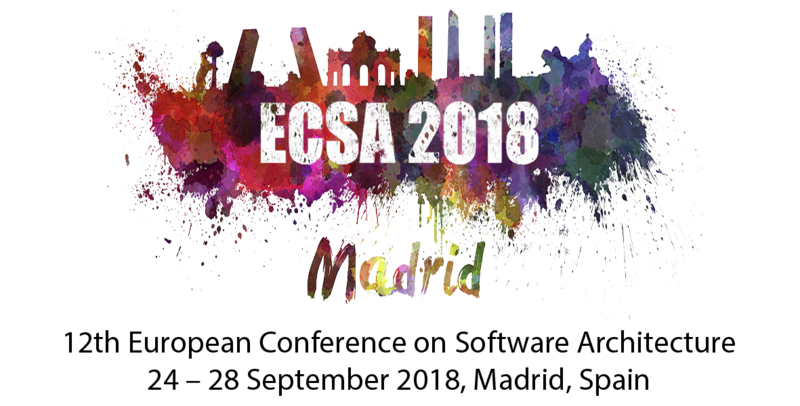 The ECSA 2018 workshop proceedings will be published by ACM. All workshop papers must follow the ACM formatting instructions.